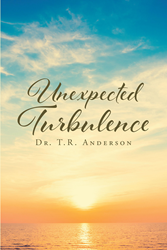 “Unexpected Turbulence” from Christian Faith Publishing author Dr. T.R. Anderson explores the experiences of families that have suddenly and unexpectedly lost loved ones. By answering key questions about death and the role of God, “Unexpected Turbulence” teaches readers to treasure their loved ones. “Unexpected Turbulence”: a discussion about death that teaches readers to value the time they have with their loved ones. “Unexpected Turbulence” is the creation of published author, Dr. T.R. Anderson. Dr. Anderson worked as a civil rights professional for the United States government for over thirty years. She served those discriminated against in the work place. She is currently a counseling psychologist helping people who have experienced traumas that impede their daily lives. She encourages others to choose their words wisely, because life and death is in the power of the tongue. Dr. Anderson is one of God’s children, and a member of Paradise Baptist Church of Oakland, California. She loves both her biological and church family. She also has a contagious sense of humor while she endeavors to find joy in every situation. Published by Christian Faith Publishing, Dr. T.R. Anderson’s new book explores the impact of sudden and unexpected deaths. No one, not one person is exempt from the experience of the unexpected death of a loved one. A sudden death often disrupts the lives of survivors, leaving them confused and hurt. “Unexpected Turbulence” examines the different circumstances and experiences of individuals and families who came face-to-face with heart-wrenching tragedies of sudden deaths that thrust them into an unidentifiable life. “Unexpected Turbulence” shows readers that life can blindside anyone at any moment with the death of a loved one. “Unexpected Turbulence” explores why God allows these things to happen. It explores the feeling of helplessness and constant desire to change the outcome. As much as death shows people that they are not in total control of their destiny, it also shows them that they create their own regrets of what they would have, could have, or should have done or said to the departed. “Unexpected Turbulence” helps readers open their hearts to their loved ones, so they might treasure and appreciate every moment they have with them. View a synopsis of “Unexpected Turbulence” on YouTube. Consumers can purchase “Unexpected Turbulence” at traditional brick & mortar bookstores, or online at Amazon.com, Apple iTunes store, Kobo or Barnes and Noble. For additional information or inquiries about “Unexpected Turbulence”, contact the Christian Faith Publishing media department at 866-554-0919.